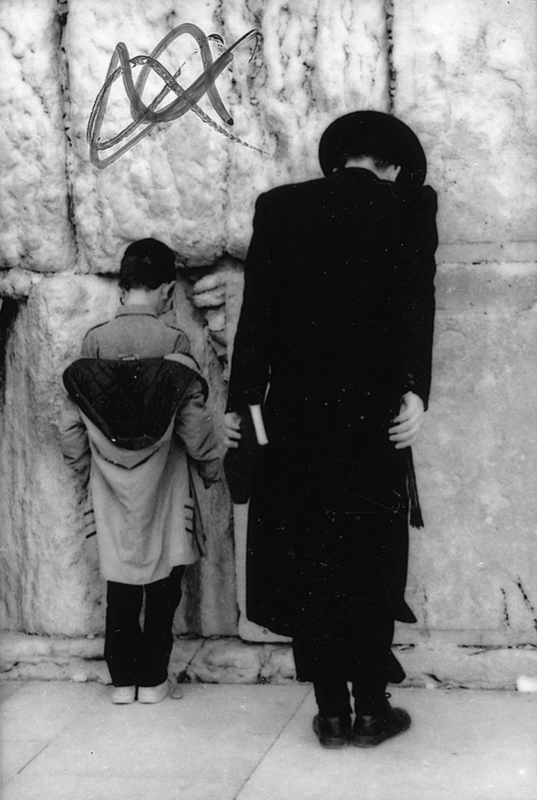 Man and son at the Wailing Wall, remains of Second Temple, Jerusalem. Courtesy Robert Chroma by Creative Commons licence. Romans 9-11 is my nominee for The Most Difficult Passage in either Hebrew Bible or Greek Testament. Take a look at this opening. “This is the truth and I am speaking in Christ, without pretence, as my conscience testifies for me in the Holy Spirit; there is great sorrow and unremitting agony in my heart: I could pray that I myself might be accursed and cut off from Christ, if this could benefit the brothers who are my own flesh and blood. They are Israelites; it was they who were adopted as children, the glory was theirs and the covenants; to them were given the Law and the worship of God and the promises. Paul loves his own people dearly. He are one! Jesus also is Jewish, of course. I struggle with the idea that the NT can be anti Jewish, or anti Semitic when racially the supposed culprits are exactly that. Do they hate themselves, then? How could they, in a majority Jewish culture or even in a confident diaspora? Kolakowski the philosopher has a book entitled, “God owes us nothing.” The book is about Pascal’s group of Augustinian Catholics (Jansenists) who said just that, God owes humanity nothing. The point is that collectively humanity has no claim on God. Our first parents forfeited God’s kindness. His descendants all ratify that stance individually, without exception — well, one exception, which is the God-man Jesus Christ. Those who belong to Christ regain the favor of God through the Beloved. Sounds good. But what to make of Pharaoh’s fatal appointed destiny? Romans 9-11 has been discussed by far more able minds than mine. Let me say so up front. Barth the Swiss theologian has an interesting take. Calvin’s take is known at a folk level as reprehensible. Arminius, a Calvinistic Dutch theologian, could not stomach Calvin and came up with his semi-version, sort of God, sort of your human choice. But let’s bypass the polemic. Let’s go back to Augustine who had double predestination — in spades. Augustine said God chooses some for salvation and some for damnation. God elects, and God disposes! Never mind John Calvin versus Jacob Arminius, circa 1600s. From the beginning of the Western Christian tradition! Paul writing about his own race, not about individuals, concludes that God will surely have mercy at the end — see Romans 11. God promised mercy to Israel and he will surely deliver. Within Israel, not all individuals of Israel are elect — some are his people, some are not. Being circumcised, or baptised, will not place you in or out by itself. God knows the individuals who are his (2Tim). He made them alive. He made them alert. He worked through their life circumstances to bring them to himself. Romans 9-11 reminded me of two things. (1) Those who focus on the details of whether BC believers, who never heard, are in or out, are focussing in the wrong area. The big picture is that there are damned (Pharoah) and there are elect. The fzzzzy middle is not the place for focus; rather look at the massive ends of God’s people and non-Gods-people. As offensive as salvation of some not all is, the fact that the Son of God was predestined to die affirms the seriousness of the issue. I had a Book of Revelation moment as I read. I was renewed in my understanding of the seriousness of life and death and God’s amazing intervention. (2) The second reminder is the urgency of prayer. God moves, and no one can stop his hand. God does not move, and nothing can stop our decline. “Our” can include apparent Christians, also our society, also the world. Prayer is the space God has made for changing world history. No accident that at the cracking of the seventh seal “there was silence in heaven for about half an hour. Next I saw seven trumpets being given to the seven angels who stand in the presence of God. Another angel, who had a golden censer, came and stood at the altar. A large quantity of incense was given to him to offer with the prayers of all the saints on the golden altar that stood in front of the throne; and so from the angel’s hand the smoke of the incense went up in the presence of God and with it the prayers of the saints” (Revelation 8). The prayers of God’s people make a hinge of history. What an encouragement to be about God’s gracious work. As a footnote, I had a great supper last month with a Serbian Orthodox nonbeliever who told me the difference between Serbs and Croats, that is, Slav Orthodox Christians and Slav Catholic Christians (same race, different theologies). The Orthodox say, Ah, don’t worry, Jesus took care of it. The Catholics say, We better stay clean. Jesus took care of it but we better do right. The Croats are more rigorous. Maybe the Orthodox are onto something; maybe they “get” the cosmic effects of the death of the Son of God. On the other hand, er, isn’t there supposed to be some life change if you really “get” it? The Bible looks for “fruit.” But the issue we did over supper is the issue we are talking about here. God chooses. God disposes. God hears prayer.